Henry Wynne of Staples High School competes in the boys high school cross country meet at Greenwich Point, Tuesday afternoon, Oct. 2, 2012. Wynne was the first place finisher. Most outstanding team: Staples football. It's still surprising that Staples won't be playing at Rentschler Field this weekend in search of its fourth state championship, but let's not discount the year this team had. The Wreckers (10-1) were the top of the class in the FCIAC throughout the regular season and took home their second straight conference title. They were stronger than everyone, faster than everyone and dismantled teams one by one. Opposing coaches heaped praise on the Wreckers throughout the season, and Darien's Rob Trifone called them, "the best high school football team I've ever seen" in 34 years as a coach. They finished the season with more points (49.1) and yards per game (500.5) than any team, and didn't trail at any point over the first 10 games. Although the Wreckers fell shy of a return to the LL state final, their season still has to rank as one of the program's finest. Most outstanding male athlete: Henry Wynne, Staples cross country. Is there anything else Wynne could've done in his senior season? 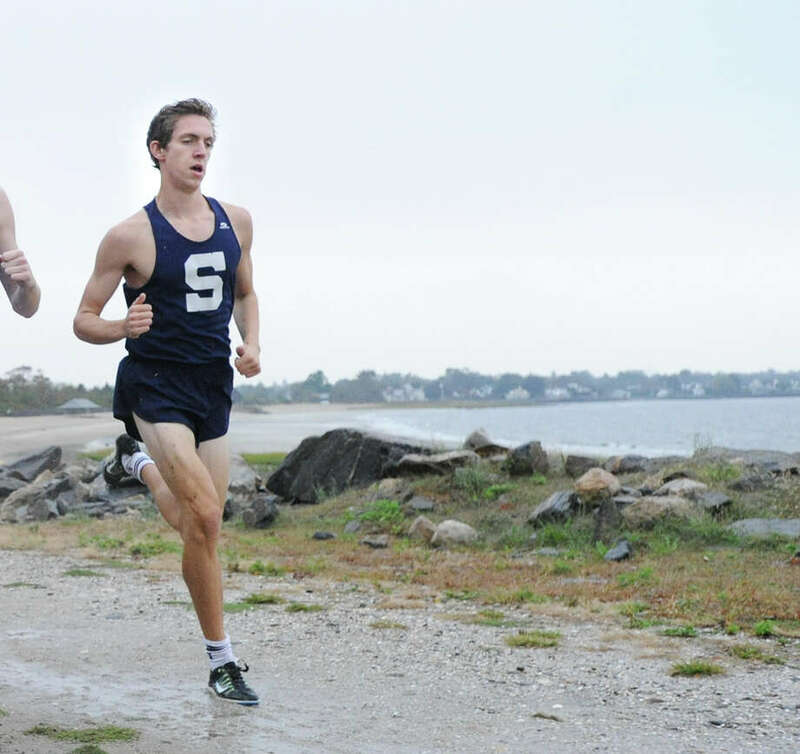 He set himself apart as not only the best runner in the FCIAC or the state, but in all of New England. He won every race during the regular season and then took home titles at the FCIAC and Class LL championships, and the State Open. He capped his season by placing first at the New England Championships in Cumberland, Maine, becoming the first regional champion from Staples since Tom Sheeran in the late 1980s. It's hard to script a better season than the one Wynne put together. Most outstanding female athlete: Verity Abel, Staples girls swimming. The junior distance swimmer earned FCIAC and state championships, and was a record-setter along the way. Abel dominated her competition in the 500-yard freestyle as she placed first in the event at the FCIAC, Class LL and State Open meets. She set a state record in the 200 free (1.51.88) and won conference and LL titles in that event. Her coach, Mike Laux, already puts her in the same category as some of Staples' top swimmers from past years, including Molly Hennessy, Molly Loftus and Emily Fenn. Abel's already this good, just imagine how much better she'll be in another year. Top newcomer: Hannah DeBalsi, Staples girls cross country. DeBalsi distinguished herself as one of the top runners in the state as a freshman. She placed third at the FCIAC championships, second at the LL state meet and 16th at the State Open. DeBalsi was also the top regional finisher at New Englands, taking 18th place. That's quite an impressive first season at Staples. Best coaching performance: Marce Petroccio, Staples football. A heavy favorite in the preseason to repeat as the FCIAC champion, Staples never lost its focus under Petroccio. They rolled through their first 10 games and outscored opponents by an average margin of 51-17. If there were ever any doubts of whether the Wreckers would overlook their sub-.500 opponents, they erased those questions early in games. Outside of a 30-28 loss to Norwich Free Academy in the LL state semifinals, the Wreckers played disciplined, mistake-free football. Best game: Staples 2, Norwalk 1, (3 OT) L field hockey state qualifying round, Nov. 10. Playing for the first time in 16 days because of Hurricane Sandy, Staples had to wait a little over 82 minutes to advance onto the L first round. Senior Jackie Lawrence's goal two minutes into the third overtime lifted the 16-seeded Wreckers past No. 17 Norwalk 2-1 at Virginia Parker Field in Westport. That goal came well after the Wreckers knotted the score 1-1 in the second half. This game had the drama and the playoff implications, all in one. Best quote: "I don't think anybody picked us to go this far. I think at the beginning of the season, maybe people thought it was a down year for Staples. But these girls really showed up and they worked hard all season long." -- Jon Shepro, Staples girls volleyball head coach following a 3-1 loss to Cheshire in the LL state quarterfinals on Nov. 13. Staples came into the season with a new-look roster but maintained its place among the FCIAC's top teams, finishing 15-6 on the season.